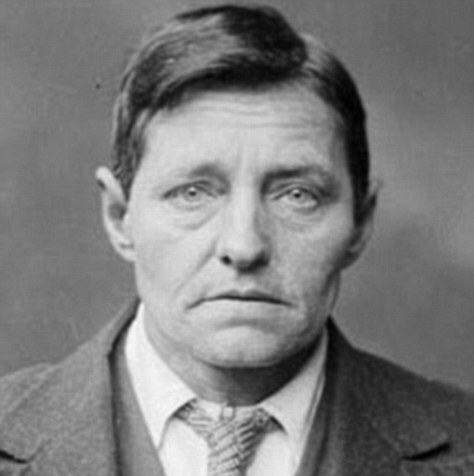 Vera Crichton, 23 conspired with two other women to 'procure a miscarriage on a third woman'. 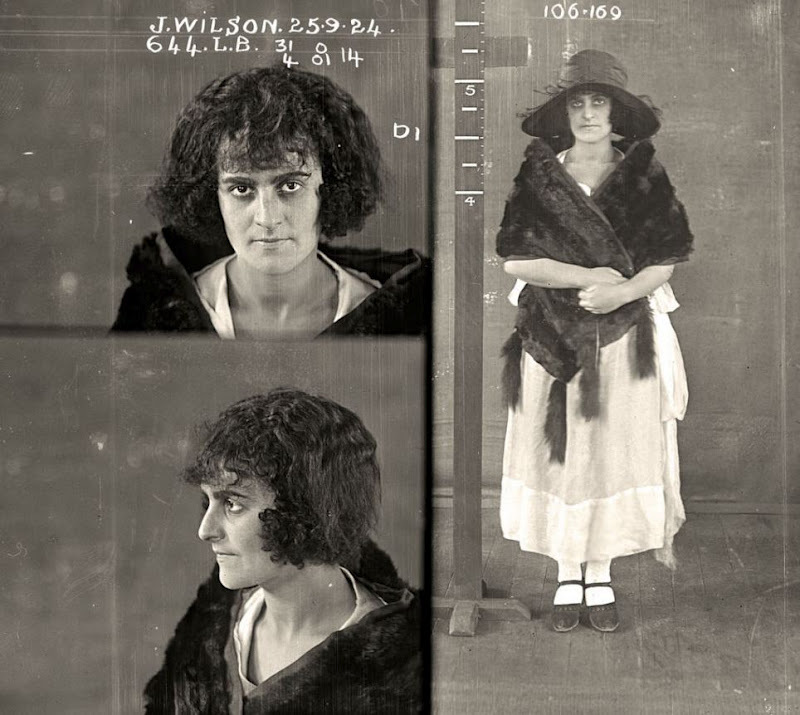 She was 'bound over to appear for sentence if called upon within three years'. 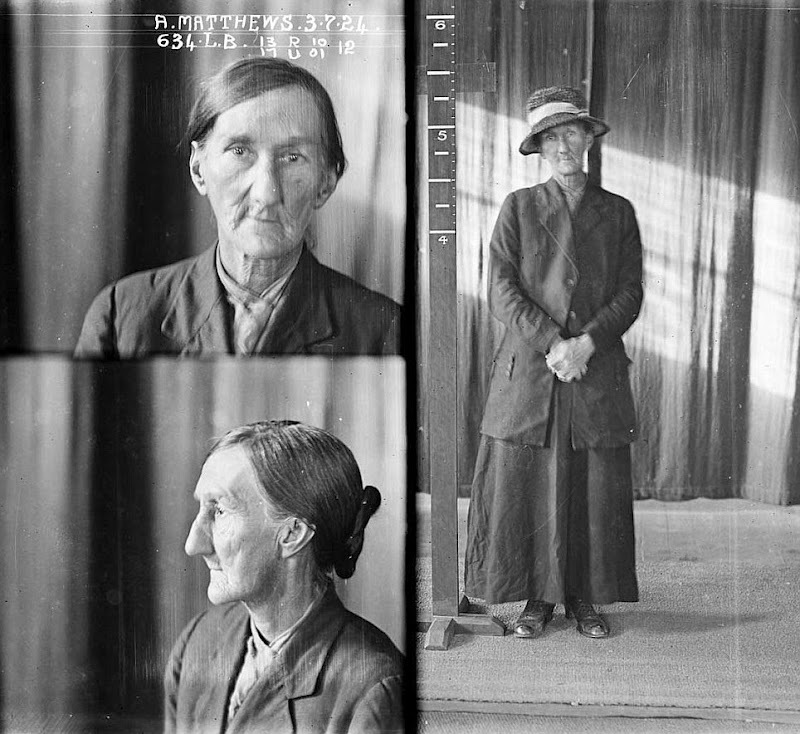 Mother Ada McGuinness , age unknown, was called the 'most evil woman in Sydney' by a police witness when she appeared in court on charges of cocaine possession. 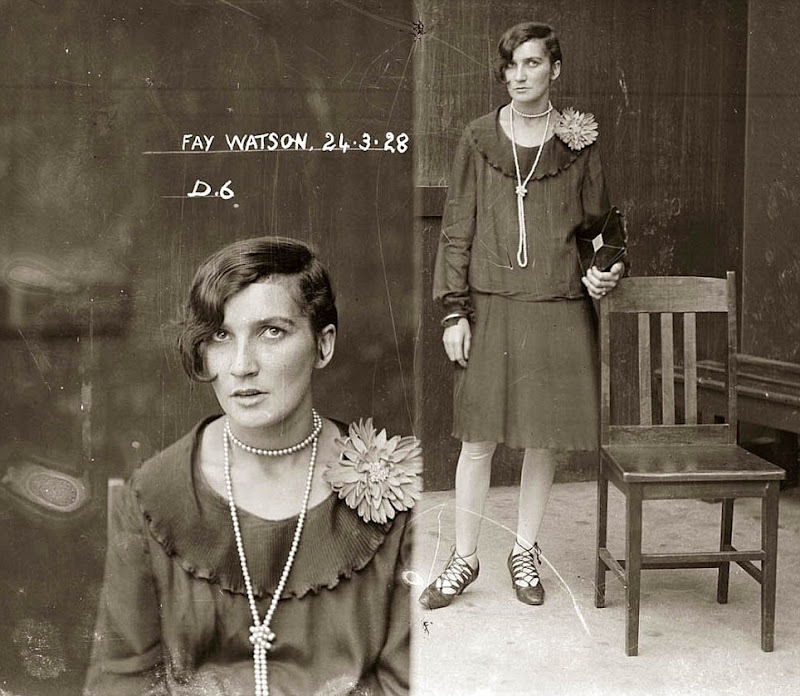 Fay Watson is listed in the New South Wales Police Gazette from 1928. She was arrested in a house in Crown Street, Darlinghurst, and subsequently convicted for being in possession of cocaine for which she was fined ten pounds. 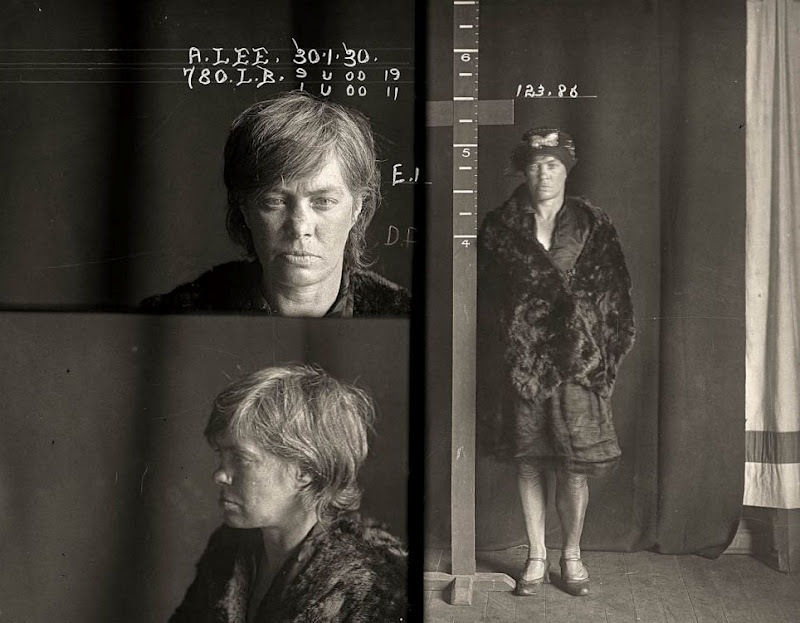 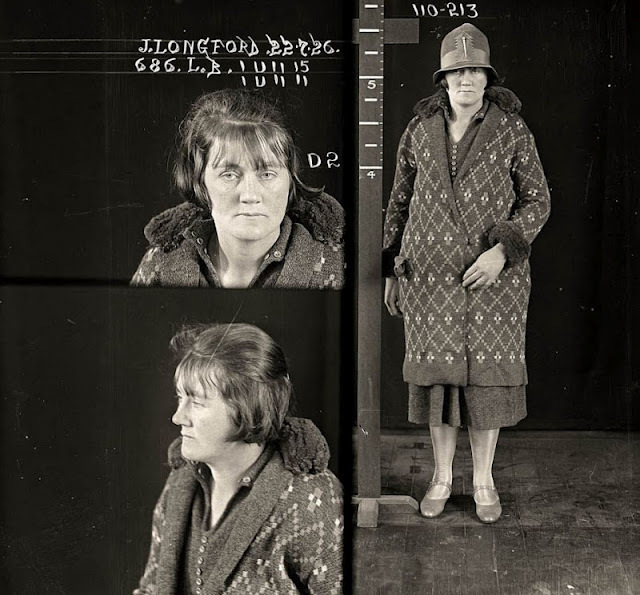 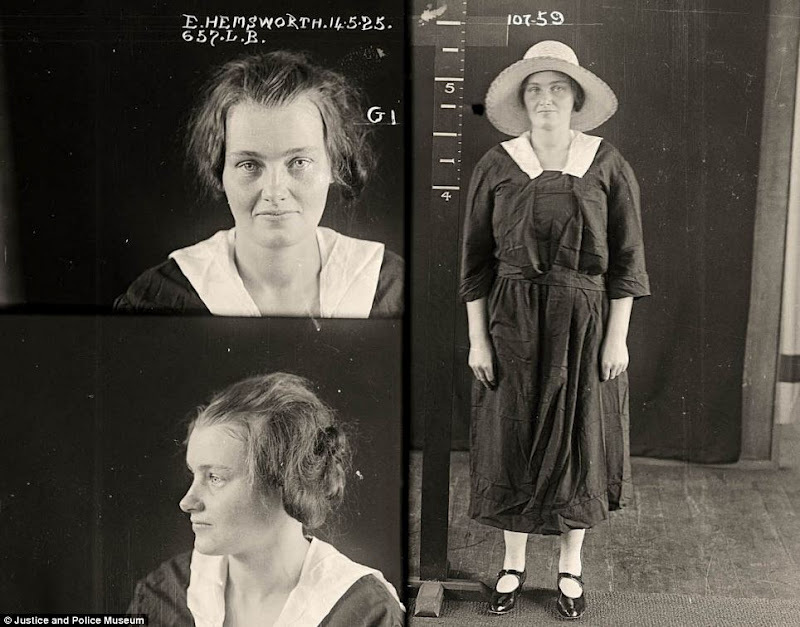 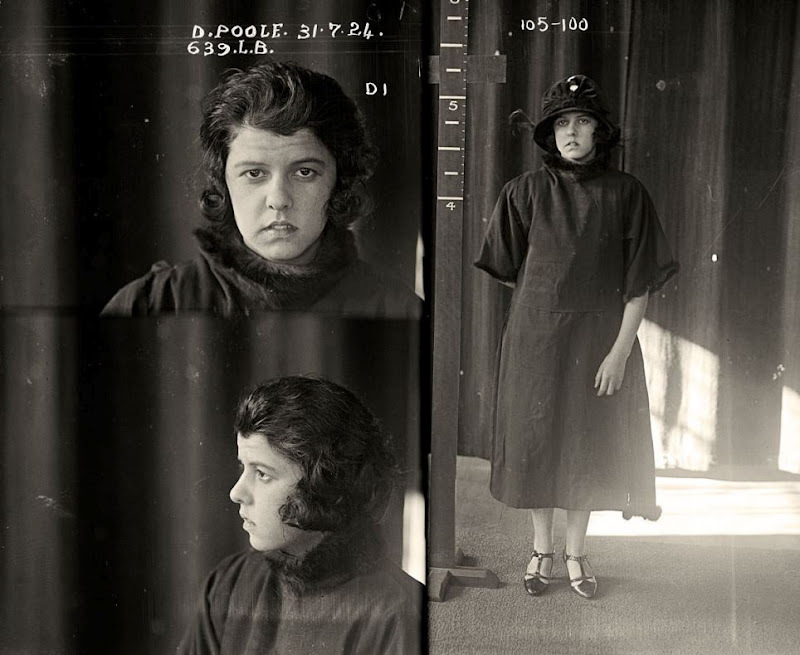 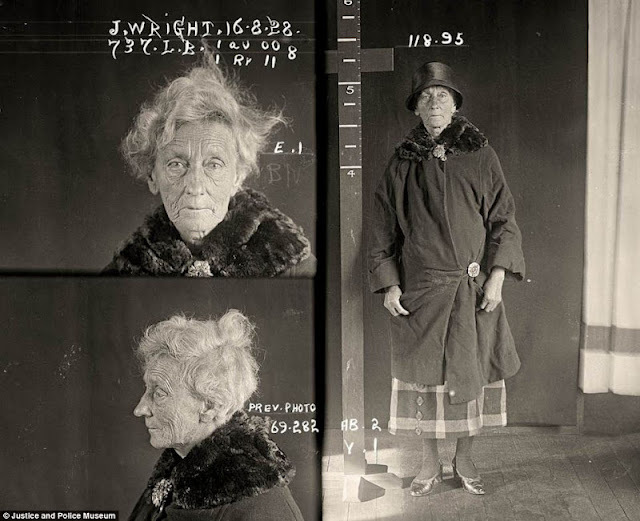 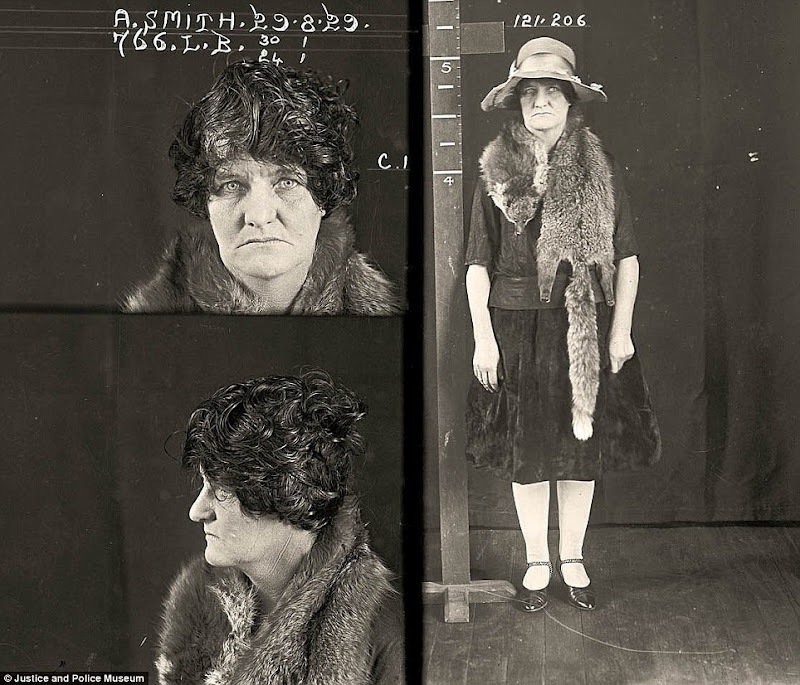 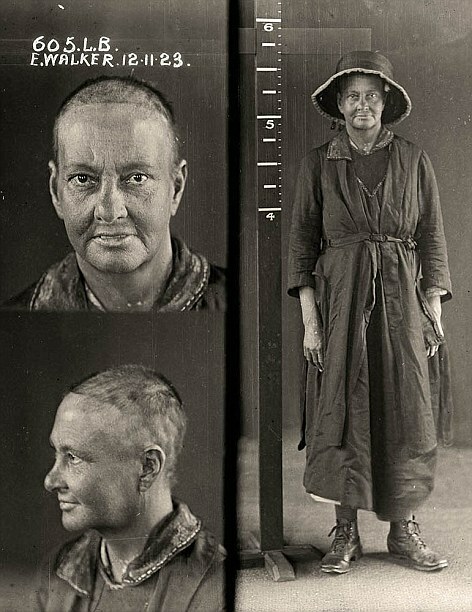 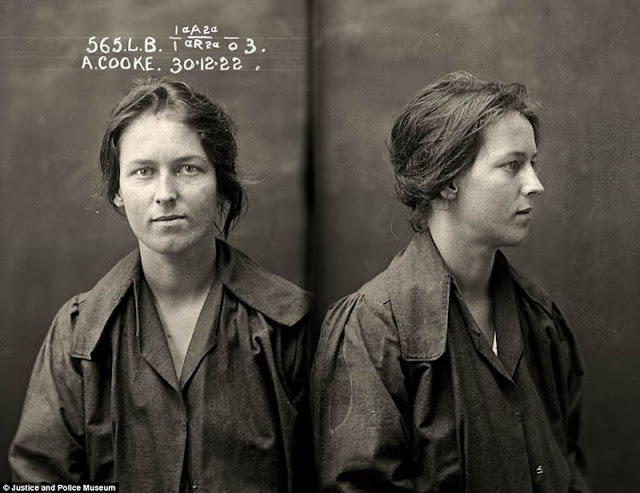 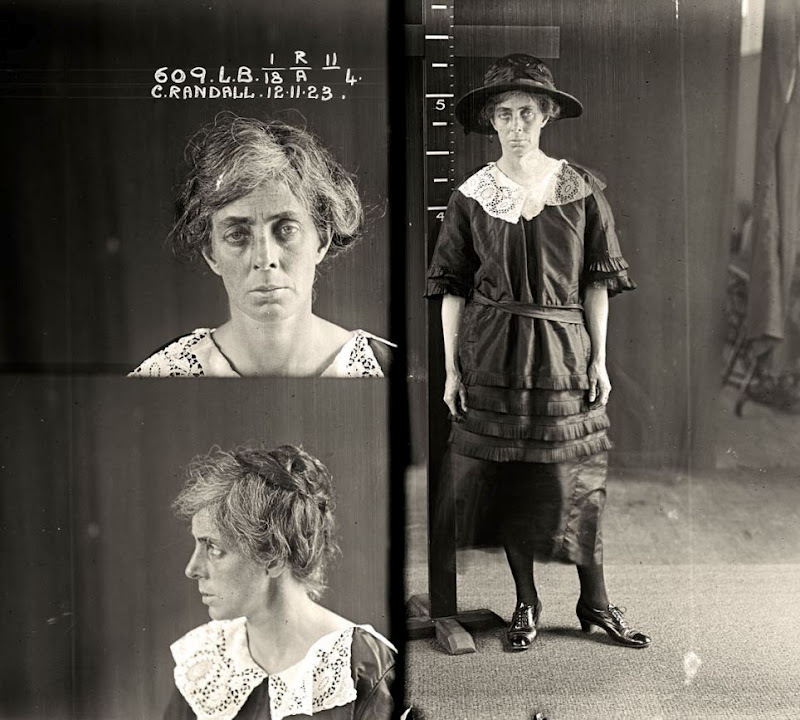 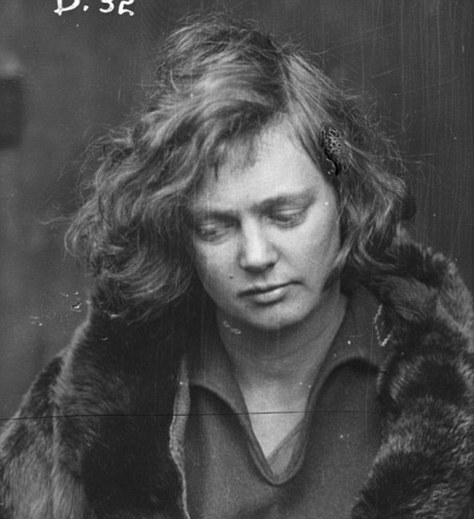 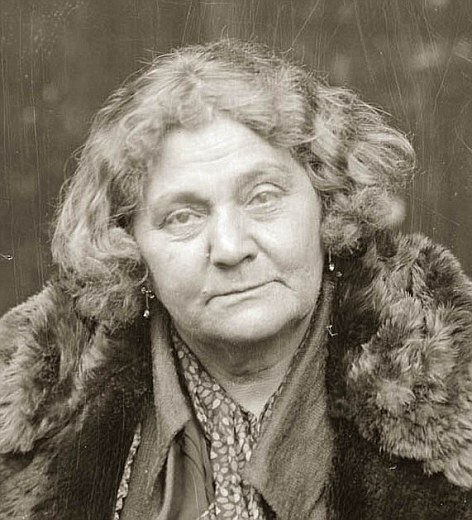 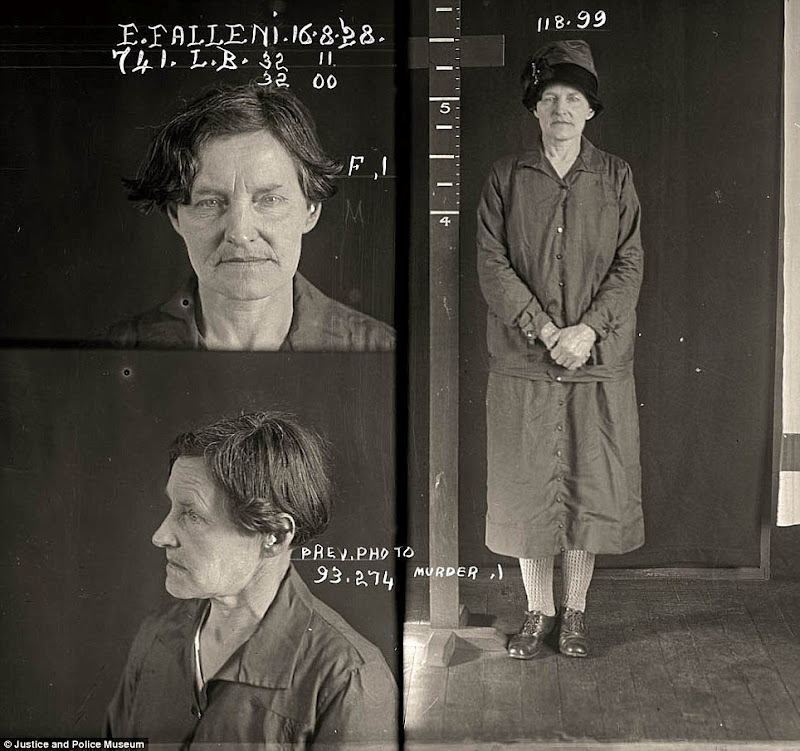 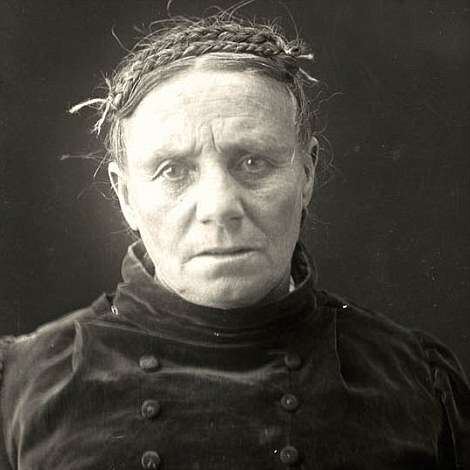 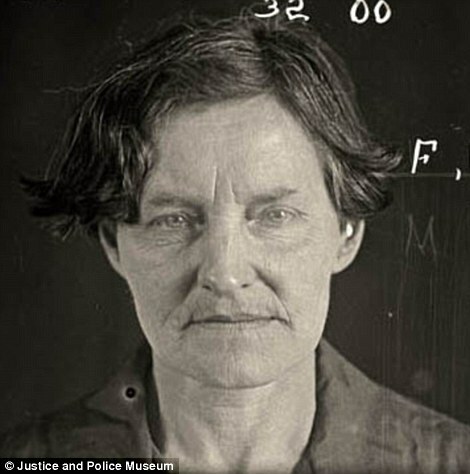 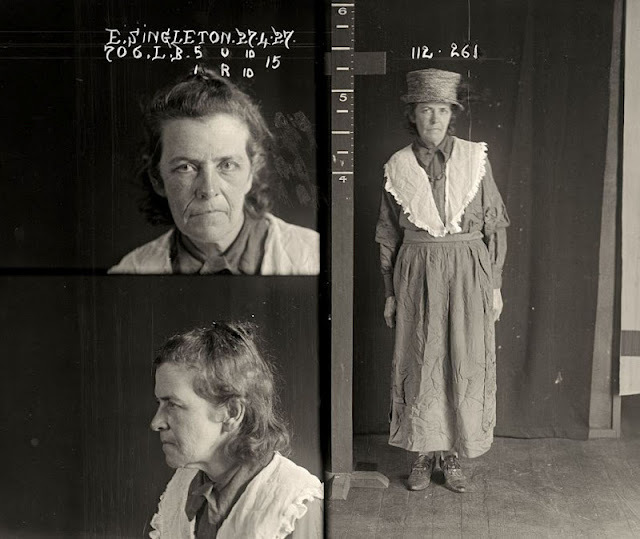 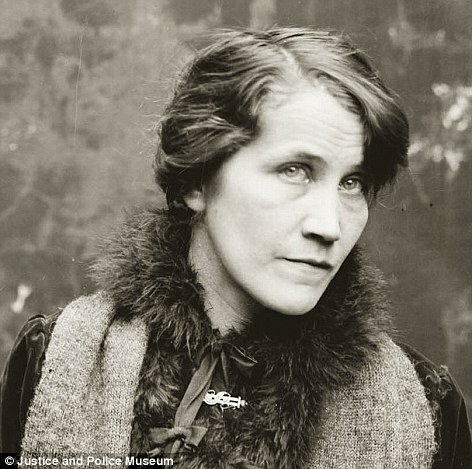 5 responses to "Mugshots of women prisoners from 1920s Australia"
wow - amazing pics. 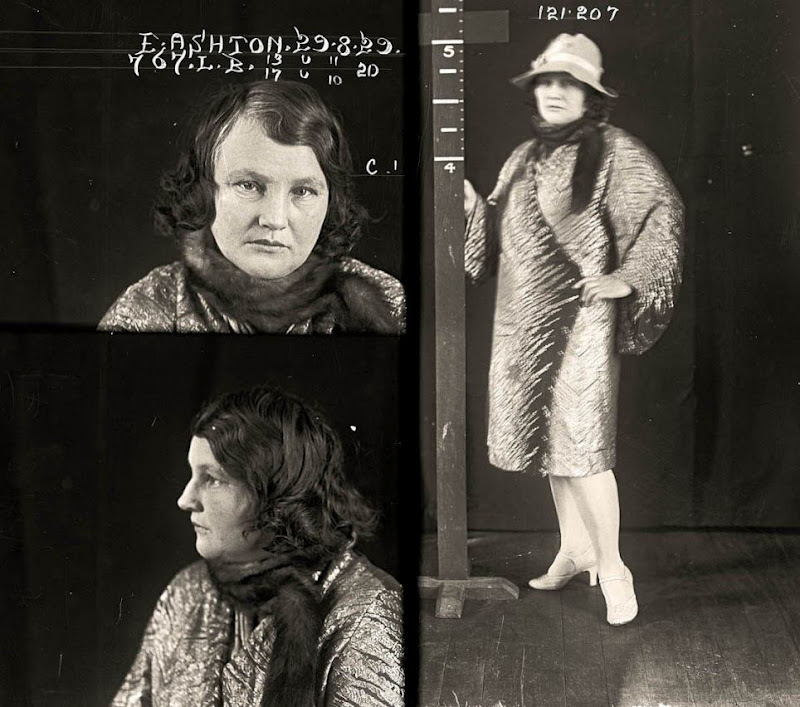 anyone know why they are all wearing such nice clothes, furs..etc? 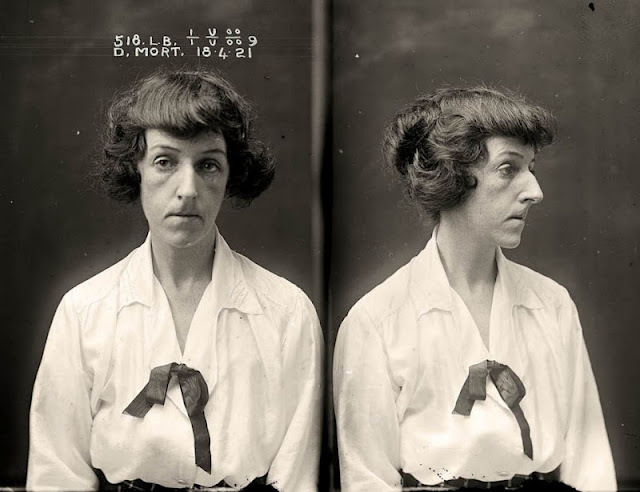 Some of these mugshots are better than today's cam whores. "Some of these mugshots are better than today's cam whores." 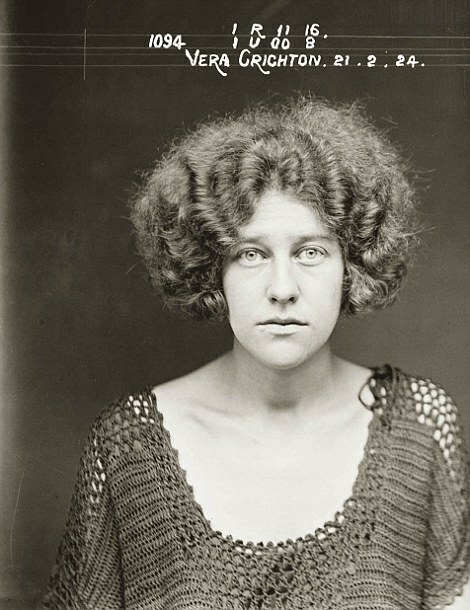 i completely agree.